Welcome to day 4! The winter frost designer series paper is just so pretty. If you missed the card yesterday, make sure to check it out. Now for an ornament. You can NEVER NEVER have too many ornaments. If you run out of room, get another tree! That's exactly what Clark Cogbill says, NOT! Cut base of ornament from striped winter frost paper. Adhere large rhinestones to all points. Stamp next largest snowflake with coastal cabana on whisper white paper and cut with framelit on Big Shot. 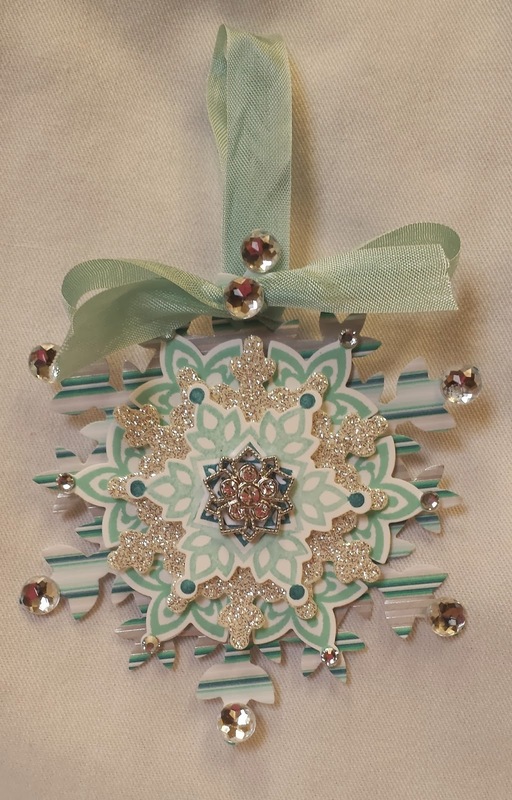 Cut silver snowflake with framelit. Color smallest snowflake with pool party and island indigo (in center). Adhere frosted finished embellishment with glue dot to center of smallest snowflake. 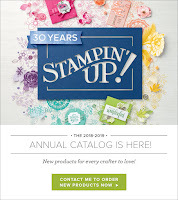 Build them together with stampin' dimensionals. pool party card stock at 5 1/2 and fold. Cut designer paper 5 1/4" x 4" and layer with snail adhesive. 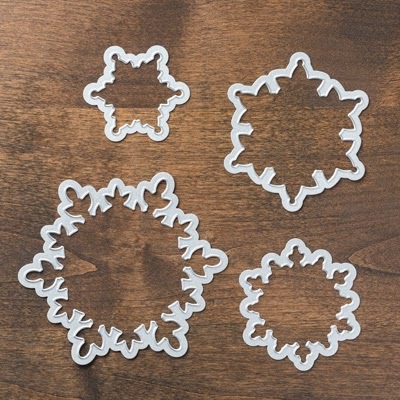 Stamp snowflakes on whisper white paper and cut them out with the festive flurry framelits. The magnetic platform is a dream here! 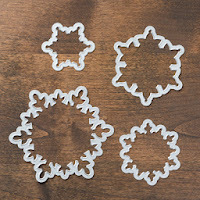 Cut out silver snowflake with Big Shot. 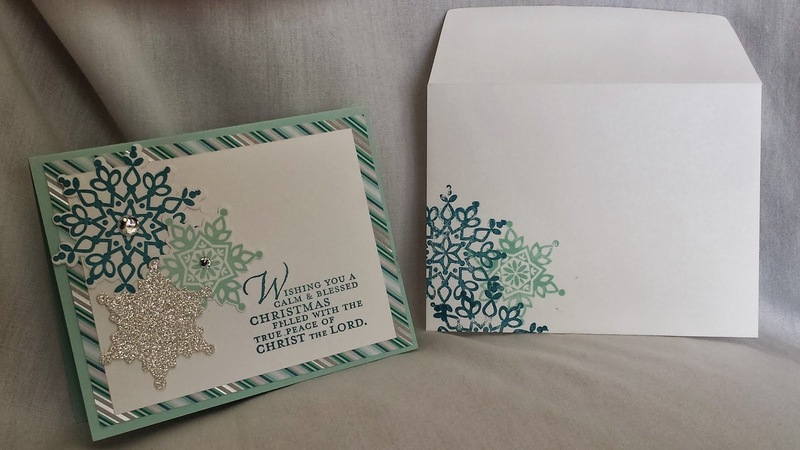 Adhere stamped snowflakes to card with snail adhesive and glittered snowflake with stampin' dimensionals. 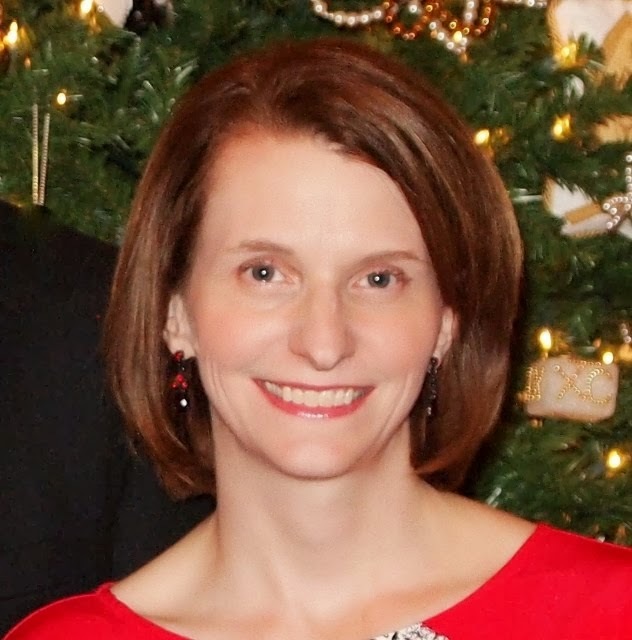 Loop and attach ribbon to back, tie another ribbon around and put a large rhinestone on it! You can also punch out a large snowflake to back it so that the ribbon won't show. 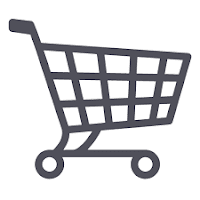 Like papermadeprettier on Facebook and Pinterest!